Whether it's a selfie, work pass or group photo, it can be so hard to find the angle in which you look best. The struggle is real, you guys. But once you've got that angle, BAM - you look a million dollars. And that angle? From above, always from above, as Tova Leigh is teaching us. In the snap, Tova expertly demonstrates exactly why not every picture-perfect image on the photo-sharing app is exactly as it seems. The body-positive advocate makes her point using two very different photos of herself: a very flattering one guaranteed to rake in the likes and a not-so flattering one. Conclusion: always take from above if you want to give the impression you have chiselled cheekbones and a banging bod. If you want to look like an ice cream that's started to melt, take the photo from below. 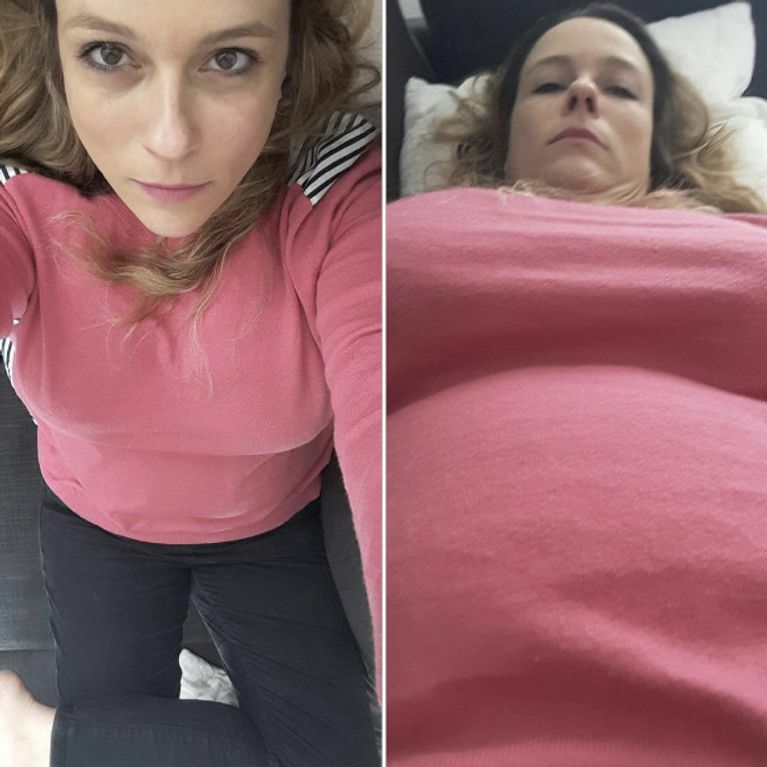 The mum-of-three often posts little nuggets of great advice like this on her Instagram as well as her website - a recent Insta post politely tells people to wait to be told if a woman is pregnant. "Dear people of the world," Tova's post begins. "Never ask a woman if she is pregnant. "I don't care if her belly is as round as a basketball, if she is acting a bit crazy, or if she is rubbing her stomach as she woddles down the street on her way to the ice cream shop. "Signed: a woman who's had three kids, two C-sections and a very large kebab for lunch". Other than basic body rules, Tova posts photos and videos of her family, giving a brutally honest and hilarious depiction of what it's like to live with three young ones - spoiler: it involves drinking a lot of coffee.